A full day and two evenings in the city of Dublin so you can experience one of the friendliest, charming and exhilirating city's in Europe. As you would expect from a city that numbers among its famous sons such literary giants as James Joyce, WB Yeats and George Bernard Shaw, Dublin is so full of inspirational atmosphere you can almost taste it. Rich in culture and tradition, it offers historical interest, the architectural beauty of its many Georgian buildings and a great nightlife! A cosmopolitan city easily explored on foot, visitors will enjoy its friendly, easy-going lifestyle. And when you have tired of wandering through the streets why not pop into Bewleys, Dublin's famous coffee shop, or into one of the many traditional Irish pubs for a drop of the dark stuff? As you would expect from a city that numbers among its famous sons such literary giants as James Joyce, WB Yeats and George Bernard Shaw, Dublin is so full of inspirational atmosphere you can almost taste it. 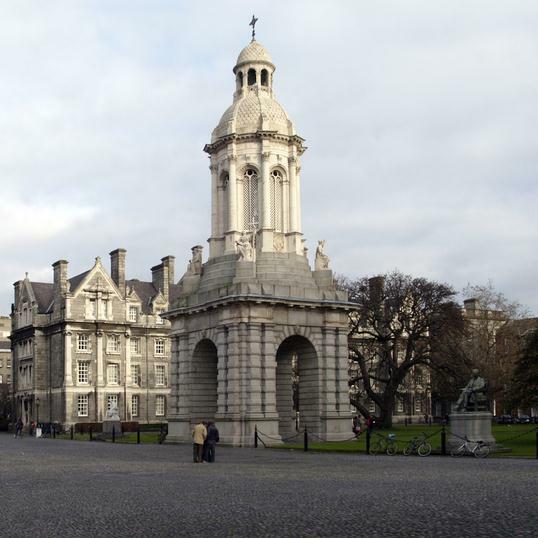 Visit the Dublin Writers Museum or Trinity College, Ireland¿s oldest university, which houses the Book of Kells. 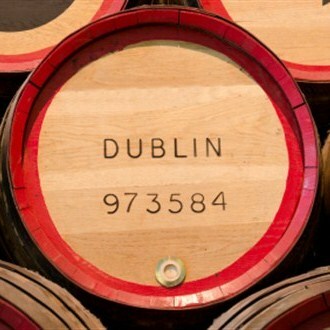 Other attractions not to miss include Dublin Castle, Christchurch Cathedral and the Guinness Brewery. Outside the city visit Malahide Castle, home of the National Portrait Collection or Kilmainham Gaol, a restored prison where leaders of Ireland's rebellions were detained. Much of the charm of Dublin comes from wandering around the city, so enjoy a stroll around Georgian Dublin, through leafy St. Stephen's Green or through Merrion Square park with its sculptures, before heading to the fashionable shopping area around Grafton Street and on to Temple Bar, with its street performers and quirky shops as well as a huge variety of bars and eateries. Lively at any time of the day or night! When you have tired of wandering through the streets why not pop into Bewleys, Dublin's famous coffee shop, or into one of the many traditional Irish pubs for a drop of the dark stuff? For entertainment choose between the culture of Dublin's theatre-land or traditional music pubs like Oliver St John Gogarty's and the Norseman Pub. We leave the Yorkshire area early on the Friday morning to Holyhead, to catch the fast ferry to Dublin Harbour which is only a few minutes journey by coach to our hotel. After checking into the Brooks Hotel you will still have a couple of hours to relax or go round the shops before getting ready for a great night out. A complete free day to shop till you drop or just laze around and recover from the night before. 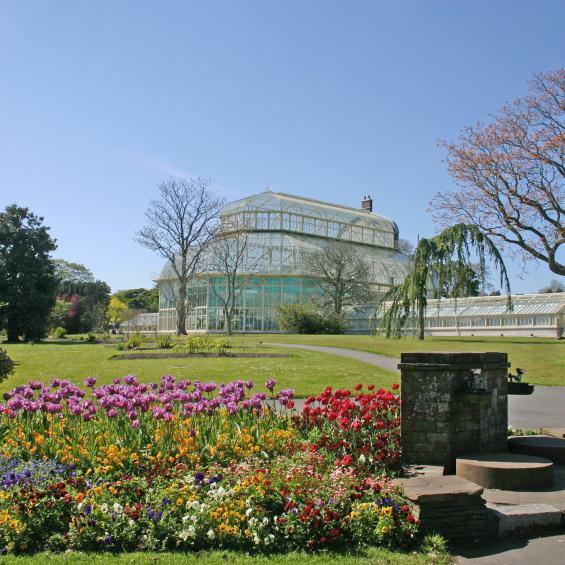 With wonderful architecture, great shops, galleries and museums you cannot help but enjoy a day in Dublin. Then at night do it all again! A leisurely breakfast and another couple of hours before we regretfully catch the coach for an early afternoon ferry. Enjoy a meal on the Irish Ferries fast ferry before retracing our steps back to Yorkshire where we should arrive at around 9:00pm. 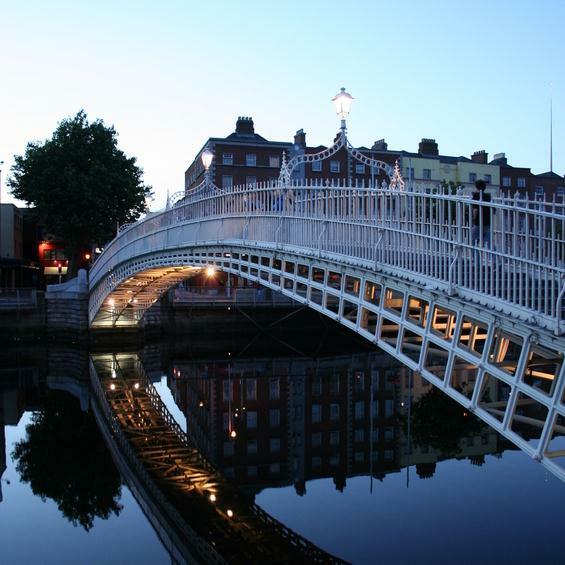 We have purposefully based this city break on a bed & breakfast basis as you should not miss out the on the wonderful variety of restaurants and bars in Dublin.